Note: These are settings pertaining to Amazon only. 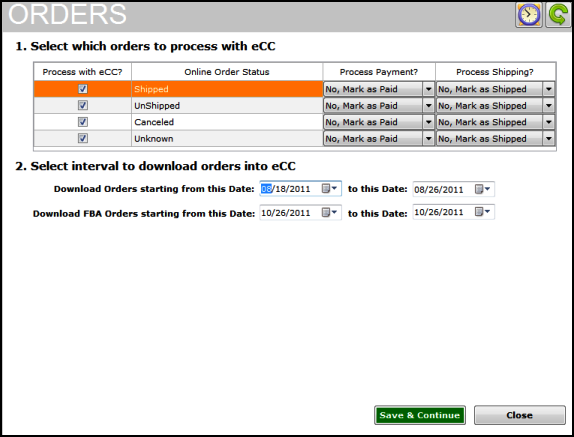 Other configuration settings can be found in Integrating Unify Desktop with QuickBooks Section. 2) Expenses and Fees- Use this screen to configure settings to download your Amazon expenses and fees and to specify how to record refund transactions. Select your option to post the expenses into Quick Books and click on the 'Setup' button to specify individual options for each transaction. The same can also be done for refund transactions. 3) Gift Wrapping - Amazon orders may include an additional gift wrapping charge (if enabled in your seller account). 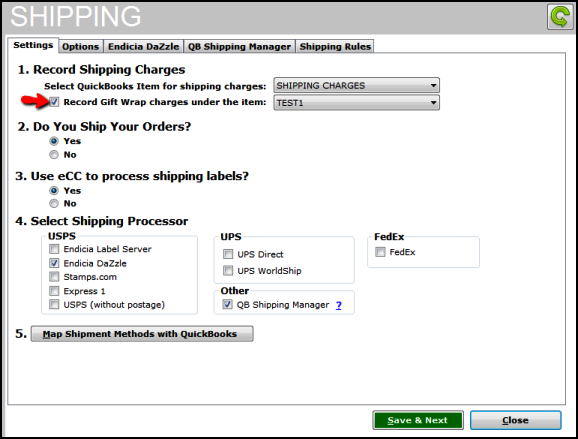 Unify Desktop provides an additional check-box for this on the "Shipping Tab".